The book has been written to provide basic, yet updated knowledge necessary for those studying and/or working at different levels of health care either as a medical practitioner, nurse, nutritionist-dietitian, community worker, social worker, caregiver, and housewife. The pendulum is swinging towards a more proactive approach to health and wellness. However, there is a tremendous confusion in the arena of nutrition and preventive medicine. We have to draw from as many sources as possible in updating this textbook — from local and international journals and recently published articles. 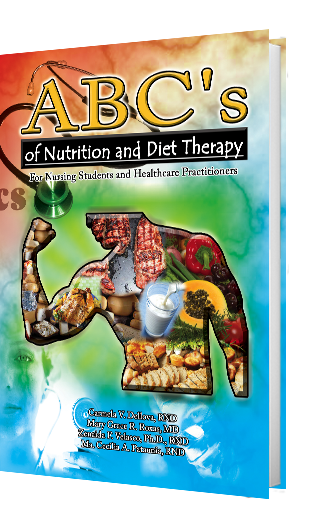 The authors have taken into account recent developments in nutrition and dietetics and mast importantly, the recommendations of the users of the book as well as the industry at large. In particular, the revisions included activities and exercises to encourage your personal involvement and commitment to better health. The assistance of Prof. Flordelis R. Roxas, faculty of the PUP College of Language and Linguistics, in the editing of chapter objectives and exercises is gratefully acknowledged. Categories: Others, Our Product. Tags: Carmela V. Dellova RND, College Books, Diet, Mary Grace R. Roxas MD, Nutrition, Nutrition and Diet Therapy, Therapy. 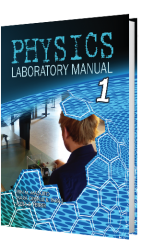 This laboratory manual has been created to substantiate the concepts being presented during the lecture in Physics 1. It would be most beneficial if a particular theory will be presented to the students before an experiment is performed. The procedures in this manual are detailed, constructed step.by-step in order for the students to be independent in their performance of the experiment. The application questions link the concepts of physics with everyday scenario for better retention, and with industry practices in order to create mindset among students of their future tasks. The exercises will enhance the skills of the students in problem solving. familiarize students with the fundamental principle of the subject firsthand manipulation of apparatus and personal application of the principle studies. train students in making valid and worthwhile conclusion from observed data. Teaching a pure science to non-science majors is a hard task. Teachers are faced with the challenging problem of explaining the complex structures of cells or the intricate chemical pathways in a simple and, in a sense, artful way. Vis-a-vis this simplicity is not losing the basic concepts. Striking a balance takes up a lot of creativity, of board and seat works, and other methodologies to bring home the message to students. Finally, this book creates another stepping stone in understanding the science of life. 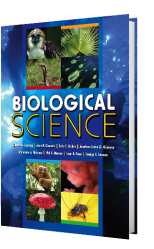 Unlike other textbooks, this Biological Science reference material takes into consideration the actual semestral time frame. It is equipped not just to teach directly but also to encourage self-exploration and culture of research. Besides, a university is a university because it is a generator of knowledge through a prolific research culture among students. Given this, it is the hope of the authors that this book serves its purpose. 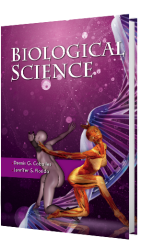 The study of biology is an interesting field regardless of background or skills and competencies. It is perhaps the most practical among the many branches of science. It does not talk about things too farfetched or blurred. It talks about our very self. We, you are the best manifestation of life. Thus, this book is about you, a narration of our physicalities and an explanation of our biological being.